Blasa Jerez Dierkens passed away on November 3rd, 2018, in Pflugerville, Texas, from natural causes at the age of 84. She was born on February 3rd, 1934 in Osuluama, Mexico to Eustolio Jerez Santiago & Elvira San Martin. She was living in Bastrop County at the time of her death. She met and fell in love with an American Soldier, William E. Dierkens in Del Rio, Texas and married him on September 10th, 1955, in Acuna, Mexico. They were married for 45 years at the time of his death in the year 2000. Their love produced 4 children: Rose Marie, Gladys Irene, George Achiel, and Brenda Lee. Blasa was a skilled cook, who learned her craft as a child working alongside her Mother and Sisters in the Oil Camps in Mexico. She worked and retired from Austin & Del Valle Independent School District in the cafeterias and she work for several Austin Restaurants. She was always known for the best enchiladas & tamales around. She also loved roses and gardening with her husband, and her yard was always filled with beautiful rose bushes. She was a friend to many and became “Mom & Granny” to everyone who met her. Her kids and grand babies were her world, and they loved and adored her. She was a fantastic mom, and supportive soldiers’ wife as she moved her family from place to place for 20 years including Spain & England and various states. She enjoyed music and dancing in her younger years, and always enjoyed camping and especially fishing with her family and friends. She is being welcomed into Heaven by her parents, Eustolio Jerez Santiago & Elvira San Martin, her beloved husband William E Dierkens, her youngest daughter Brenda Barnes, her brothers, Eustolio & Leocadio Jerez San Martin, her cherished sister Irene Jerez, , her nephews Roberto Delgado and Victor Jerez Purata, and many other loved ones. She is survived by her children; daughters Rosie Young of Bastrop, Texas (Ricardo Luevano) Gladys McElyea of Sadler, Texas (Robert McElyea), and son, George Dierkens of Sadler, Texas. Grandchildren; Jennifer Atkinson (Joel Atkinson), Alicia Young (Gilbert Herrera), William Barnes, Scottie McElyea, Victoria Dierkens (Travis Sexton), Abby Soliday-Dierkens, Ana Luevano-Young, and Joe Barschow (Julie Barschow). Great Grandchildren; Justin, (Leslie), Joelli, Jodin, Jenna, and Julia Atkinson, Justus and Alexus McElyea, David, Ariella Rose, Gilbert, and Nevaeh Herrera, Tylee Sexton, and Jude and Lucy Barschow. 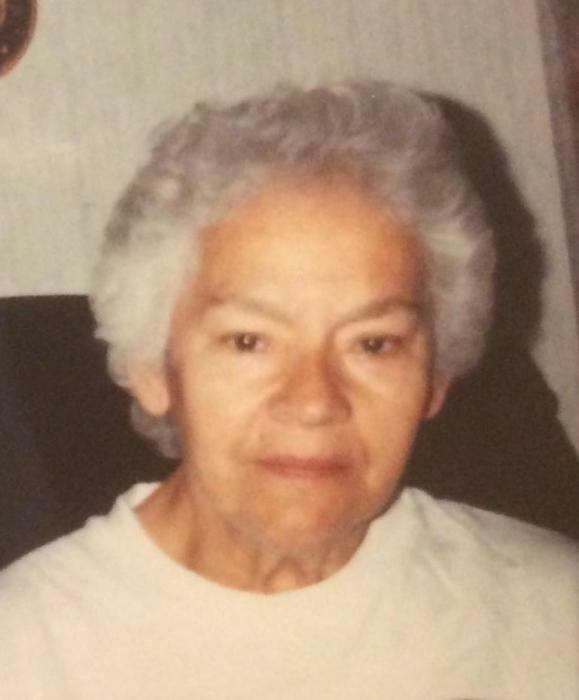 She also leaves behind her sister, Yolanda Moreno Jerez of Tampico, Mexico, Sister-in-law Rose Patterson of Kansas City, Kansas, and many, many nieces and nephews and other family members. She will be greatly missed by so many lives that she came into contact with. There will be food and refreshments after the church service in the St Paul parish hall. Burial will take place on November 15th, 2018 at 10:00AM she will be buried at;, Fort Sam Houston National Cemetery, 1520 Harry Wurzbach Rd.,San Antonio, Texas 78209.